Farmers are a great place to find fresh local produce and literally get a taste of the region. The variety of goods sold at farmers markets varies greatly. In addition to fruits and vegetables, you may find things such as baked goods, meats and seafood, honey, soaps, plants, flowers, and arts and crafts. Some markets also have food vendors and entertainment. Visit the links for each market for details on what’s available. Annapolis Fresh Farm Market – Sundays, 8:00 a.m. to noon, May 4 – November 23. Located on Compromise street, at the harbor (Donner parking lot). 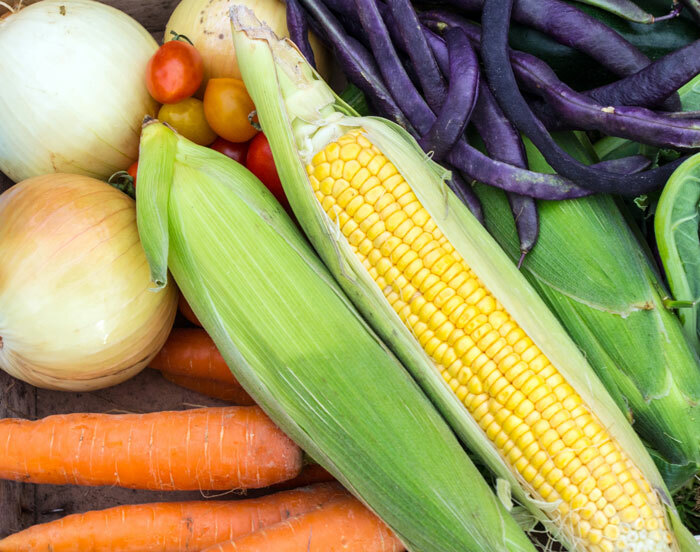 Anne Arundel County Farmers Market – Saturdays 7:00 a.m. to noon, April 5th – December 20th and Tuesdays 7:00 a.m. to 1:00 p.m., May 27th – September 30th. Located at 275 Truman Highway, at the intersection with Riva Road. 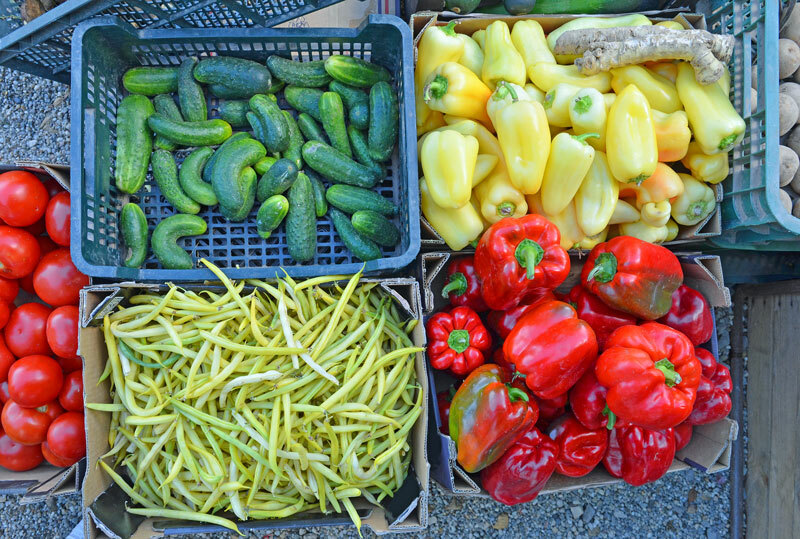 Maryland DNR Farmers Market – Thursdays, 3:00 p.m. – 6:00 p.m., June 5 – September 4. In the Department of Natural Resources Parking lot, 580 Taylor Avenue in Annapolis. Deale Farmers Market – Thursdays, 3:00 p.m. to 6:00 p.m. July 30 – October 30. At the Cedar Grove United Methodist Church Parking lot, 5965 Deale-Churchton Road. Prince Frederick Farmers Market – Tuesdays, 3:00 p.m. to 7:00 p.m., May 6 – November 25. Located at 130 Hospital Road, in the parking lot adjacent to Route 4. California Farmers Market – Saturdays, May 3 – October 25. Route 235 at Town Creek Drive, in the BAE Parking lot. The Sotterly Farmers Market – Saturday, May 24 – September 27. Held on the Sotterley Plantation grounds. Charlotte Hall Farmers Market – Wednesdays and Saturday 8:00 a.m. to 6:00 p.m. in April; most days from 8:00 a.m. to 6:00 p.m. May – October; Mondays, Wednesdays, Fridays, Saturdays 8:00 a.m. to 4:00 p.m. in November. Closed on Sundays. See full schedule. Located in the Charlotte Hall Library parking lot, 37600 New Market Road, at the intersection of Routes 5 & 6. Solomons Farmers Market – Thursdays 4:00 p.m. to 8:00 p.m. May 1 – November 20. Solomons Riverwalk parking lot, north of the pavilion. Makers Market at Annmarie Garden – Monthly market held on the first Saturday of each month, April – December. At Annmarie Sculpture Garden & Arts Center, 13480 Dowell Road, Solomons, MD. Alexandria Old Town Farmers Market – Saturdays, 7:00 a.m. to noon, year around. In operation since 1753, George Washing sent his produce from Mount Vernon to be sold at this market. Held at Market Square, 301 King Street. Baltimore Farmers Market – Every Sunday, April – December, under the Jones Falls Expressway at Holiday & Saratoga Streets. Maryland’s largest producers-only market. You’ll also find food vendors and a shopping bazaar for non-food items. Baltimore Museum of Industry Farmers Market – Saturdays from 9:00 a.m. to 1:00 p.m., May 31 – October. Held in and around the waterfront pavilion. Druid Hill Farmers Market – Wednesdays, 3:00 a.m. to 7:30 p.m., June – September. Located on the lawn of the Rawlings Conservatory in Druid Hill Park, Baltimore. Fell’s Point Farmers Market – Saturdays from 7:30 a.m. to noon. May – November. Waterfront in Baltimore’s Fell’s Point neighborhood. At Broadway Square and Pier. Pratt Street Farmers Market – Thursdays from 11:00 a.m. to 2:00 p.m., May 15 – October 30. Located on Pratt and Light Plaza, outside the Transamerica Building. Bel Air Farmers Market – Saturdays, 7:00 a.m. to 11:00 a.m. through November 15th. Located at 2 S. Bond Street, in the Marty Risteau Courthouse parking lot. Cecil County Farmers Market – Fridays, 2:00 p.m. to 6:00 p.m., May 10 – October 25. Held in North East, in the Parking lot of the North East United Methodist Church, 308 South Main Street. Chestertown Farmers Market – Saturdays, 8:00 a.m. to noon, April – December at the Fountain Park, at the intersection of High and Cross Streets in downtown Chestertown. North Beach Farmers Market – Fridays. 6:00pm – 9:00pm. May through October. North Beach Boardwalk at Bay Avenue and Fifth Street. Weekly classic car cruise-in held at the same time. Cambridge Farmers Market -Thursdays 3:00 p.m. to 6:00 p.m. May – October, at Long Wharf. Easton Farmers Market – Saturdays 8:00 to 1:00 at Harrison Street Public Parking Lot. Kent Island Farmers Market – Thursdays 3:30 p.m. to 6:30 p.m. at Christ Church, 830 Romancoke Road, Stevensville. St. Michaels Farmers Market – Saturdays 8:30 a.m. to 11:30 a.m. April 19 to October 11. Located at the harbor, in the Municipal parking lot behind Sweeties Bakery. Onancock Market – Saturdays, 8:00 a.m. to noon, May – October. In downtown Onancock, VA, across from the Post Office, at the corner of Market and Ames Streets. Oxford Farmers Market – Wednesdays from 4:00 p.m. to 6:00 p.m. in the Oxford Community Center parking lot. Oxford, MD. Portsmouth Olde Towne Farmers Market – Saturdays 9:00 a.m to 1:00 p.m. On Court and High Street, around the courtyard of the Portsmouth Arts & Cultural Center. Virginia Beach Farmers Market – Year around market with shops and restaurants in addition to traditional produce stands. Old Beach Farmers Market – Saturdays from 8:00 a.m. to noon Memorial Day to Labor Day; every third Saturday 9:00 a.m. to noon September to May. Located in the Virginia Beach resort area in the parking lot of Croc’s 19th Street Bistro. Williamsburg Farmers Market – Saturdays from 8:30 a.m. to 12:30 p.m. Held at Merchants Square on Duke of Gloucester Street. Deltaville Farmers Market – Monthly market. 2014 dates are April 26, June 28, July 26, August 23 & November 22. Holly Point Nature Park. Heathsville Farmers Market – Monthly market, held on the first Saturday of the month. Behind the Old Courthouse in Heathsville. Irvington Farmers Market – Monthly market, held on the first Saturday of each month, May – December, from 9:00 a.m. to 1:00 p.m. Located at 98 King Carter Drive. 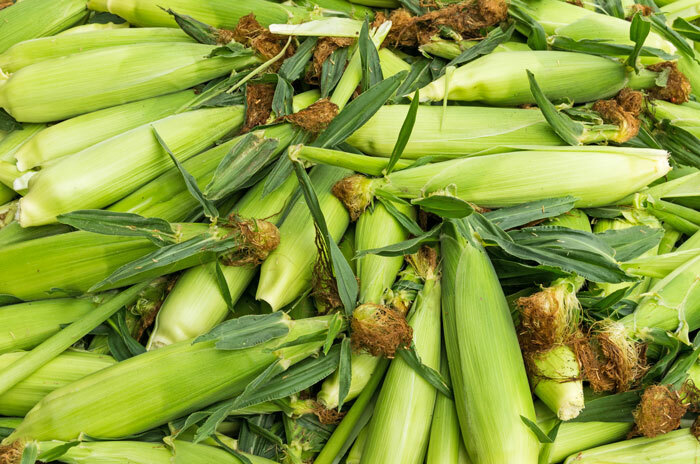 Mathews Farmers Market – Saturdays 9:00am to 1:00pm on the Historic Courthouse Green, Mathews VA.
Montross Market Days – Monthly market on the first Saturday of each month, May – September. 8:00 a.m. to 1:00 p.m. on the Westmoreland County Courthouse Green. Tappahannock Farmers Market – Monthly market, held on the third Saturday of each month, from 9:00 a.m. to 1:00 p.m. April – November. Located on Cross Street, Market Green, and Courthouse Green in the center of downtown Tappahannock. Urbanna Farmers Market – Monthly market, held on the second Saturday of each month, May – September, 9:00 a.m. to 1:00 p.m. Held in Taber Park at the corner of Rappahannock Avenue and Bonner Street in downtown Urbanna. Yorktown Market Days – Saturdays 9:00 a.m. to 1:00. At Riverwalk Landing on the Yorktown waterfront.